Pool Campus Interview conducted by INFOSYS (BPO), Bengaluru on 19/01/2019. A pool campus interview was organized by placement cell by inviting Infosys (BPO) Bengaluru. It was inaugurated by Shri Gonal Rajashekhar Goud, Chairman, Veerashaiva College, Ballari. In his inaugural speech, he insisted on the students to acquire knowledge and skills as per the demands of modern job market. The knowledge acquired from prescribed textbooks would alone not serve the purpose of getting jobs. The students need to concentrate on aptitude development and other essential qualities. Intensive competition is the dominant feature of the present world. So that, the students should labour every day sincerely for capacity building which alone contribute for success in the complex world, he suggested. Dr.G.Rajashekhar, Principal, spoke about the revolutionary changes registered in the field of communication and technology. He asked the students to make use of equipment and technology properly for building bright career. The selection team of Infosys described about what all facilities available in the company and packages before conducting interviews. 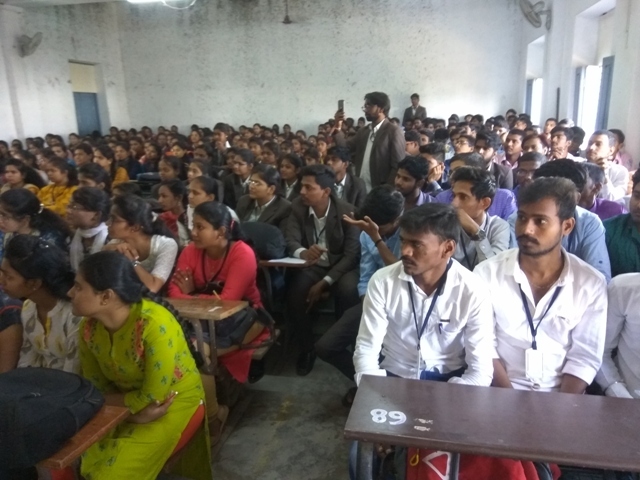 Totally 860 students from the Colleges of Koppal and Ballari districts participated in campus selection. Three types of tests - aptitude, essay and telephonic communication were conducted from morning to evening. At the end of the final test, 29 students have been selected and issued orders. Of which ten students are from Veerashaiva College. 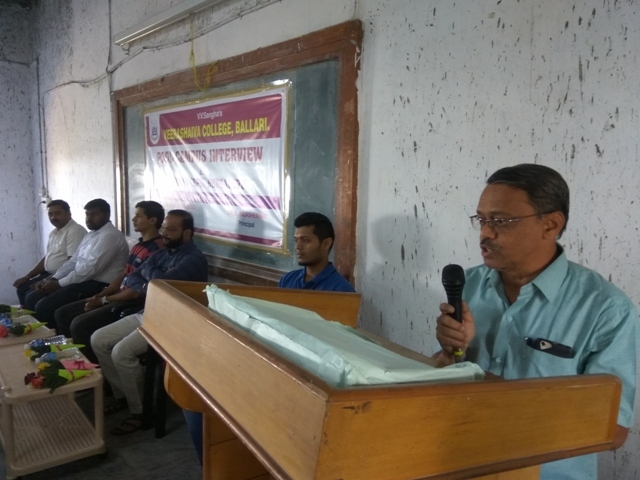 The Placement Officers of the College Dr.A.Mallikarjunappa and Shri M Bhojaraj monitored the campus drive and contributed for its success. Shri Gonal Rajashekhar Goud, Chairman, Shri H N Kotresh, Shri Halakundi Satishkumar, Members of C.G.C. and Dr.G.Rajashekhar, Principal, congratulated the selected students and wished them success in career. Teaching & Non-Teaching Staff rendered their service for the success of campus drive at all stages.